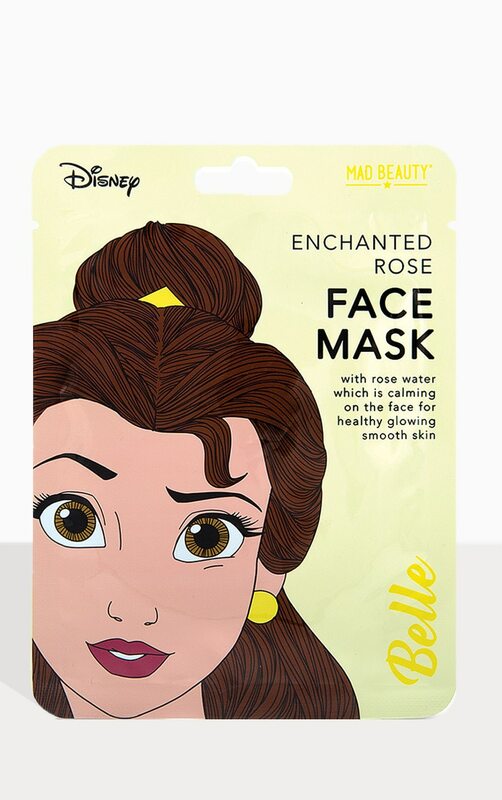 Make all your Disney dreams come true with this Belle Enchanted Rose face mask. With rose water which is calming for the skin for a healthy flawless glow. Unfold the mask to reveal a Disney themed pattern. Start with a gently washed face then place and adjust mask over mouth, nose and eyes. Leave on for 10-12 minutes and wash off any excess.